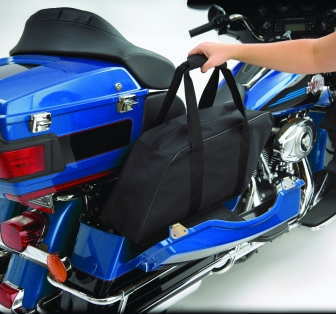 Standard Saddlebag Liners make loading and unloading saddlebags easy and convenient. 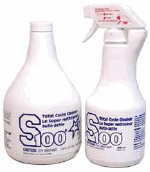 Made with sturdy urethane coated weather resistant polyester. 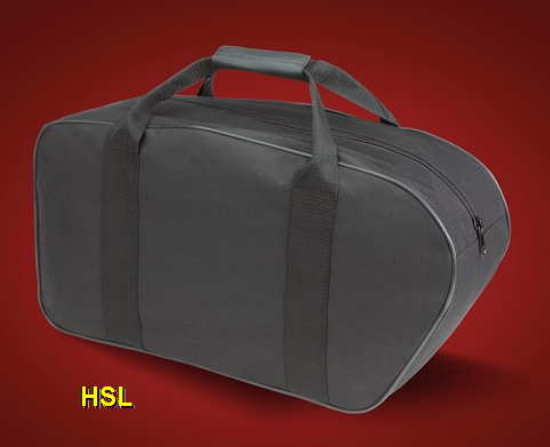 HDSL: Harley Hard Bags, Honda Valkyrie and Ace Tourer & Yamaha Hard Saddlebags. 23"L x 11"H x 6.5"W.
HSL: Honda Gold Wing GL1200 / 1500 / 1800 & F6B. 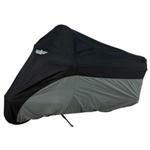 20"L x 11.5"H x 5.5"W.
HDKC: King Kooler, Insulated, waterproof liner that fits into most large cruiser saddlebags. Turn saddlebags into an insulated cooler. 14 1/2" x 10" x 5"